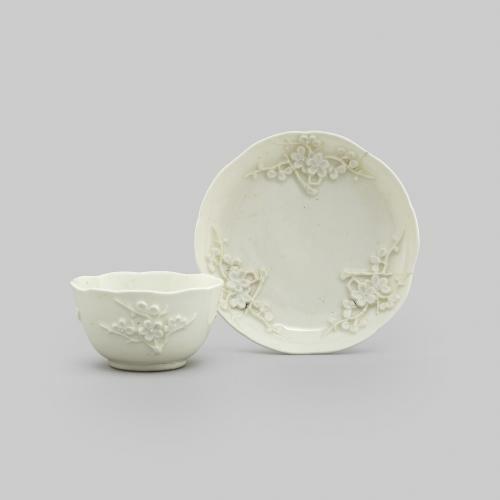 The Bow porcelain factory was established ca.1747 and specialised in the production of inexpensive tablewares made from soft-paste porcelain. 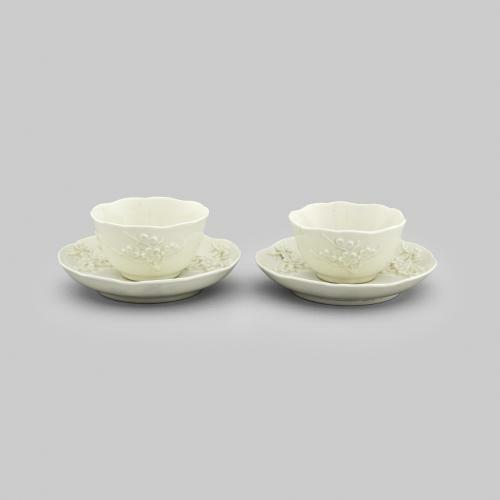 The white wares produced by the factory, such as these tea bowls and saucers, were made in imitation of Chinese ‘blanc de chine’ porcelain, although Bow’s wares were much more creamy in comparison. 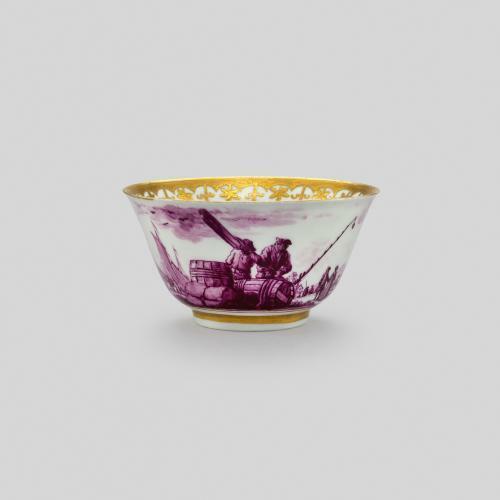 The factory was at its height during the 1750s, when these bowls and saucers were made, and many of the factory’s models took inspiration from Chinese and Japanese prototypes. 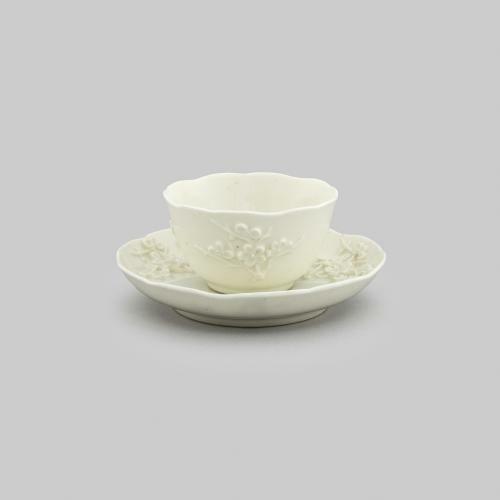 These bowls are simply decorated with flowering prunus branches, a speciality of the factory. 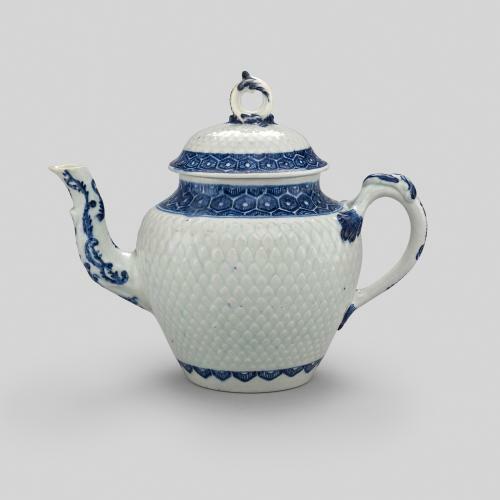 Such decoration was often seen on Chinese and Japanese porcelain and a Chinese blanc de chine teapot in the Chitra Collection is decorated with this motif (CCN.190).